This delightful 18th century mansion is set in its own peaceful 5-acre park. A former wine domaine, the Manoir offers beautiful dominant views over the countryside. Located halfway between Nîmes and Anduze, about 50 kilometres away from Montpellier. It is an ideal venue for large families or parties of friends of up to 14 people, as it offers both substantial indoor and outdoor space. Fenced swimming pool. Private tennis court. 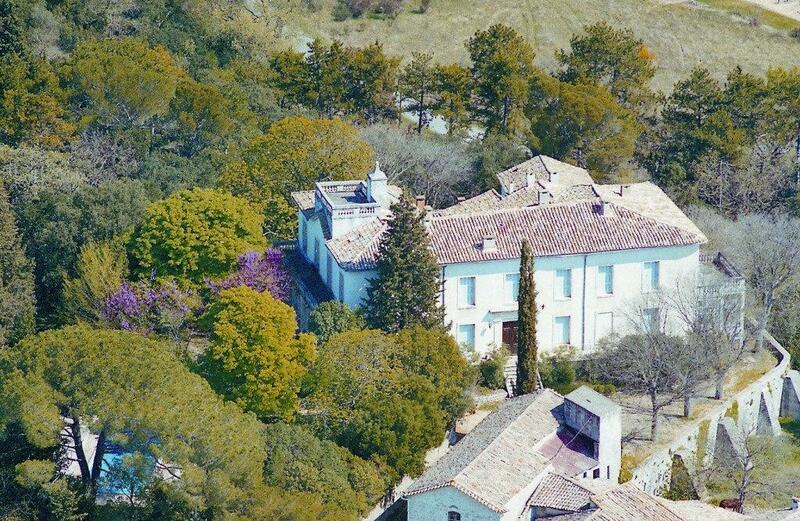 This charming 18th century mansion set in a peaceful 5-acre park, formerly part of a wine estate, offers beautiful dominant views over the countryside, halfway between Nîmes and Anduze, and 50 kilometres away from Montpellier. It is an ideal venue for large families or parties of friends of up to 14 people, as it offers both substantial indoor and outdoor space to enjoy some privacy during the day and large joyful gatherings during lunches or diners. There is absolutely no doubt that you will feel immediately welcome at the Manoir. Part of this gated property is the wide park planted with mature trees, which hosts a fenced swimming pool - always appreciated by parents with young children - as well as a private tennis court. Children always find a purpose at the Manoir d'Anduze: build shelters in the park, play hide and seek, take a look at the donkeys and peacocks nearby…while parents can relax, practise some sports, light a barbecue or enjoy quality time with friends or family around the swimming pool or sit somewhere cosy in the shade. Though you could spend time simply relaxing at the house, strolling the gardens and diving in the pool, the area around the estate makes for excellent day trips. You may enjoy evenings out for a diner in picturesque Sommières, just 24 kilometres away, explore Anduze’s bamboo forest or the medieval village of Uzès, less than twenty minute drive, or just discover Nimes or Arles’s rich Roman heritage as well as the Pont du Gard, less than 40 minutes away. The mansion offers 500m2 of indoor space spread on two levels. Past the entrance hall, there is a spacious French country kitchen, perfect for catering for large groups, much praised by guests for its level of equipment and large dining table. The ground floor also hosts a vaulted sizable living room from which a conservatory overlooking the countryside can be accessed. The large staircase leads to the bedrooms and a reception room with a piano and original Napoleonic period wallpaintings and decor. There are three main suites, each composed of a main parent’s double bedroom and one smaller twin bedroom – each suite having its own functional bathroom or shower-room. There is another bedroom with two single beds and also an independent family bathroom with separate toilet. The closest airport is Nîmes Airport (37 km) also within reach are Montpellier Airport (41 km), Avignon Airport (69 km), or Beziers Airport (88 km).